Every fast car enthusiast today would know the name Bugatti. Based in France, Bugatti Automobiles S.A.S. manufactures high-performance luxury vehicles. Between 1998 to 2000, the company came up with several concept cars before commercially selling its first production model – the Veyron 16.4 – in 2005. Bugatti is a wholly owned subsidiary of multinational automobile maker Volkswagen AG, which officially incorporated the former in December 2000. Following Veyron's discontinuation in 2014, Bugatti unveiled a new model known as Chiron in 2016. 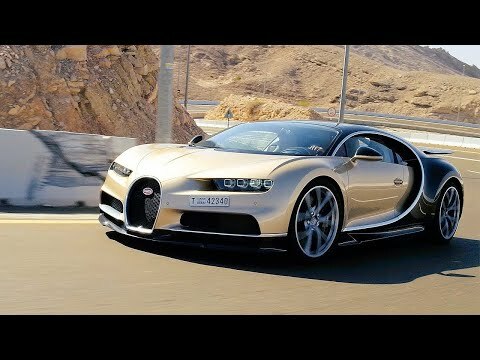 Today, the Bugatti Chiron is one of the fastest known cars in the world, competing with the likes of the Hennessy Venom F5 and GT, SSC Tuatara, Koenigsegg Regera RS, the Tesla Roadster, and the McLaren F1. Bugatti has announced to make only 500 units, so exclusivity is guaranteed. The first 200 units were sold out before the first car was delivered. The Bugatti Chiron has a base price of around US$3.3 million. 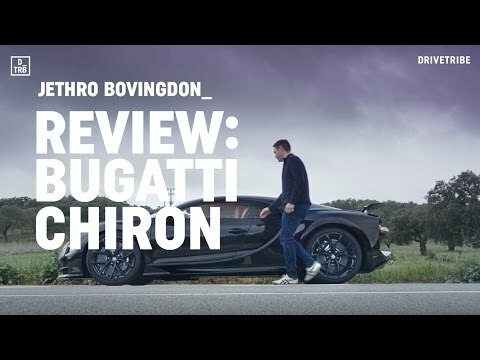 It is hard to talk about the Bugatti Chiron without using superlatives. It is the fastest and most powerful luxury sports car in Bugatti's history yet and competes with some of the highest performing cars in the world for the same title. The Chiron represents exquisite engineering and, at the same time, a beautiful art piece. Giving life to the Chiron is a redesigned quad-turbocharged 8-liter W16 engine mated to a seven-speed dual clutch transmission and an all-wheel-drive system. This machine churns out 1,500 horsepower and 1,182 pound-feet of torque and has a power output between 2,000 and 6,000 rpm. The Chiron can go from zero to 60 miles per hour (mph) in just around 2.5 seconds. By the time it passes 200mph, it can very well surpass most of its rivals. The car requires a second key to unlock it's "top speed" mode, which is 261mph – 3 mph more than that of the Veyron Super Sport. This limit is set by the tire technology available. For the Chiron, Bugatti uses an improved charge air cooling system with which about 60,000 liters of air is pumped through the engine every minute, while, simultaneously, 800 liters of water circulate to cool the engine. Unlike most of its competitors, the 2018 Bugatti Chiron is not a hybrid. It received a rating of nine miles per gallon (MPG) in the city and 14mpg in the highway from the Environment Protection Agency (EPA). The Chiron is made mainly of lightweight materials such as carbon fiber and Titan so that the engine power can be maximized. The car sports a performance-oriented architecture and styling. A lot of its exterior features were designed to improve aerodynamics and cooling efficiency. The quad LED headlights, for example, routes air to the front breaks. The Chiron is one attractive machine. It comes with a sleek snout as well as C-shaped side pods and spinal ridge, which are reminiscent of the art-deco period Bugatti road cars. It dons Bugatti-spec Michelin Pilot Sport Cup 2 tires, one P285/30R20 at the front and another P355/25R21 at the back. Inside, the Chiron spells luxury with no hint of plastic. The central console, which houses the gear lever and air conditioning system controls, was built using a single piece of aluminum. A LED-illuminated C-line form separates the only two seats in the car. The cabin was designed so that the driver gets minimal distractions and all the necessary information within his view. For switches, buttons, and panels, carbon fiber, aluminum, and real silver were used. Meanwhile, each of the four speakers is adorned with a one-carat diamond membrane. The cabin, however, was not designed to hold many things. There are hardly any storage areas and pockets to hold things, but there is a cooled glove box and some space under the front bonnet to accommodate a small bag. You can also hang a jacket or a suit bag behind the seats. Compared to the Veyron, the Chiron is 6mm taller and 14mm wider, resulting in an increase of 12mm of headroom. As for the ride quality, Chiron is probably one of the most usable luxury fast cars today. It is very sharp in terms of braking performance, direction changes and cornering ability. It has strong grip levels that less able drivers may find useful. The use of double-glazed windows and other soundproofing materials make Chiron a much quieter model than its predecessor, especially when the engine is not being pushed. However, there is still a noticeable rumble. Two years after Chiron was introduced, Bugatti unveiled in early 2018 a new variant called Bugatti Chiron Sport. The new model inherits most of the features of the standard model, including the 8-liter W16 engine, performance, and power. The most significant change is the weight -- the Chiron Sport is lighter by 18 kilograms. Such is achieved by a combination of weight-reducing strategies such as the pioneering use of carbon fiber for the windshield wipers. On the exterior, the noticeable changes are the painted C-shaped trim and the number "16" painted on its grille, which represents the number of cylinders that are tucked under the hood. The Chiron Sport is available starting at the end of 2018 for an additional cost of $400,000 over the standard model. Is this the best fast car in the market?